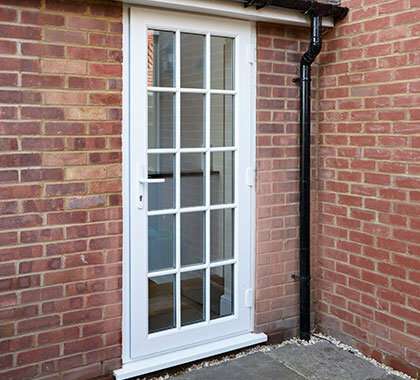 uPVC doors offer a classic look which combine the best features of traditional doors with the practical benefits of modern design and materials. 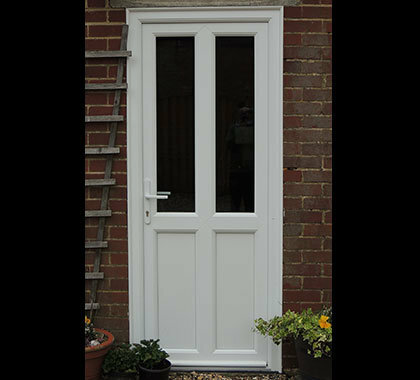 Perfect as a back door as well as a front door, each door is made to measure, tailored to your specification and style of your home. They can be fully glazed, clear, patterned or sandblasted and offer a choice of furniture to suit your taste. 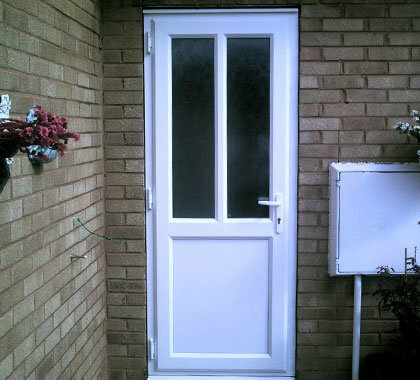 Our doors use the same energy efficient sealed units we use in all our products. 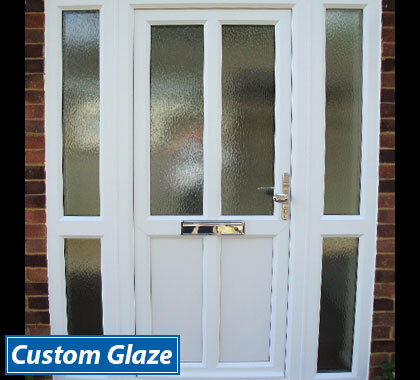 So you can be assured of the high quality and performance you would expect from Custom Glaze. We will remove all old doors, frames and building debris from site, leaving everything clean and tidy. All waste generated goes through a sorting station to ensure that “waste to landfill” is kept to a minimum. 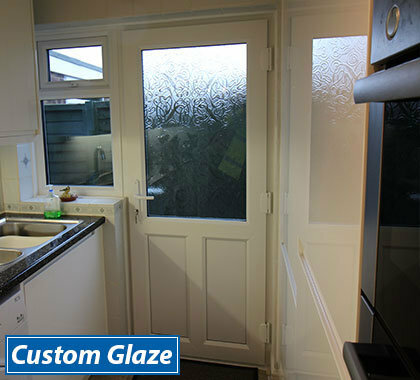 Custom Glaze uPVC doors are made from 100% lead-free uPVC – better for the environment and better for you and your family. You no longer have lead in petrol or paint so why choose to have doors containing lead?